When you hear the words, “copper mattress” please don’t tell us you imagine a bed made of shiny, polished Abraham Lincolns. If you do, we’re here to change that. 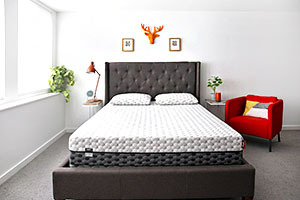 There are a variety of benefits to using copper and memory foam copper mattresses. From giving all you side sleepers out there the best support for your pressure points to being hypoallergenic, copper-infused memory foam can enhance your sleep to ensure you have some of your best days. The legends and lore of copper date back centuries. Metaphysically, copper is believed to enhance psychic abilities, amplify thoughts and assist in connecting the spiritual plane to the physical. Now copper is known to be an essential nutrient, the benefits of copper for health and healing are evident throughout history. The ancient Egyptians used copper to sterilize their drinking water and disinfect their wounds. The Aztecs used copper compounds to treat headaches, ear infections and burns. Hippocrates used copper oxide, copper carbonate, honey and olive paste to treat skin infections. Egyptian and Babylonian soldiers were discovered to have placed copper shavings in wounds to reduce infection and promote healing. 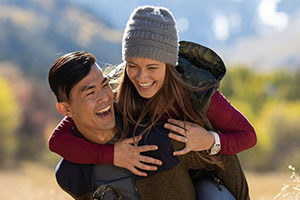 There are many who believe that copper clothing, copper jewelry and copper compression garments promote the body’s ability to relieve pain naturally and promote healing. 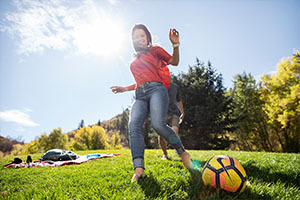 Although it’s easy to find evidence on both sides of the fence, hundreds and thousands of personal testimonials credit copper for renewing health and alleviating pain. Modern technology confirms the antimicrobial and antibacterial properties of copper. When microbes land on a copper surface, copper ions are released. Copper ions prevent cell respiration and destroy the contaminants DNA and prevent the development of antibiotic-resistant genes. All these antibacterial properties make copper a perfect substance to use in everyday products, like a mattress. That may also explain the marked increase in the use of copper surfaces in train stations, restaurant kitchens, trains, buses, airports and gyms. In fact, there are at least 15 hospitals in the US that have installed, or are considering installing, copper on easily contaminated surfaces such as toilet handles, faucets and sinks. That’s because copper has the power to inactivate or kill many pathogens, including the norovirus, even pathogens that are resistant to antibiotics. Studies are ongoing. Imagine all the germ-killing that would take place if you had a copper mattress. 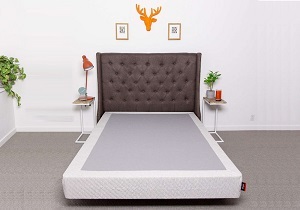 A Copper Mattress is Cooler – Your copper infused Layla Mattress sleeps cooler than most other memory foam mattresses. That’s because copper is one of the most conductive metals. Your body heat that would build in any other mattress is quickly absorbed by the copper in your Layla sleeper, and just as quickly carried away from your body. This helps to regulate body temperature and will allow you to sleep comfortably cool all night long. 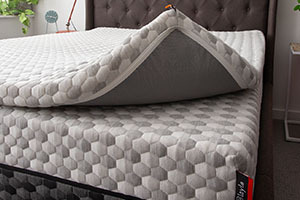 A Copper Mattress is Cleaner – The copper-infused throughout your Layla mattress and pillow is hypoallergenic and has the ability to kill viruses, molds, fungus and any other nastiness that would build up from sleeping on any other type of mattress. Killing mold and fungus is particularly beneficial to those with allergies or asthma. 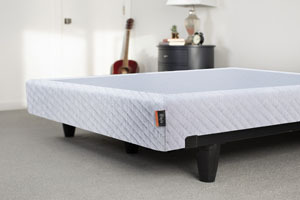 A Copper Mattress is More Supportive – The copper cells in your Layla memory foam mattress provide variable support. 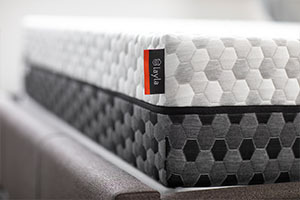 The Layla Mattress is flippable with one soft side, and one firm side. That means that you get proper support where you need it most, contouring to your body (no matter your body type and no matter your sleeping position), while the softness of your mattress is still maintained. That’s because the copper cells interact with a firming response where the most foam compression occurs. Your shoulders, hips and pressure points will be well-supported. So, like we said, copper is pretty amazing. That’s why our memory foam pillows, toppers and mattresses are copper infused. We want to help you get a great night’s sleep, so you can live your best days. If that includes a hypoallergenic, contouring, body temperature regulating copper mattress, you’ve come to the right place. With Layla, you get all the proven benefits of copper for a clean, comfortable night’s rest.